Privately owned Malaysian ferry operator, Langkawi Auto Express, has chosen browser based ferry+ for its ferry reservations, ticketing and operational requirements. The introduction of ferry+ coincides with the arrival of the Langkawi Auto Express new purpose built ship, the LANGKAWI AUTO EXPRESS 1. 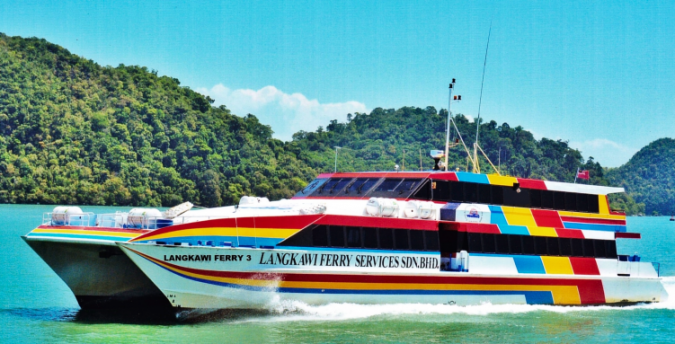 Langkawi Ferry Services Sdn Bhd was established in 1996 and the management team has more than 25 years of experience in the ferry business and ferry operations. LFS core business is providing main ferry service between Langkawi Island and the Malaysian mainland. LFS ensures fast, efficient and comfortable ferry services to its customers at all times and provides Langkawi island residents with an easy and frequent service to the mainland. Dibuk Sdn Bhd was established in 1988. The main office is located at Lot Pt 1667, KM7, Jalan Simpang Empat, 02000, Kuala Perlis, Perlis. Dibuk Sdn Bhd has many subsidiaries. One of them is Dibuk Cargo Services (AS-0198535-P) a cargo service based on transporting cargo and goods between Kuala Perlis and Langkawi by ocean.